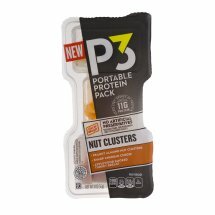 P3 Portable Protein Pack Nut Clusters.New. *See back panel for ingredients used to preserve quality. Inspected for wholesomeness by U.S. Department of Agriculture P-45256.